Spring has officially sprung, and right on cue we're releasing the spring cover of our current issue! 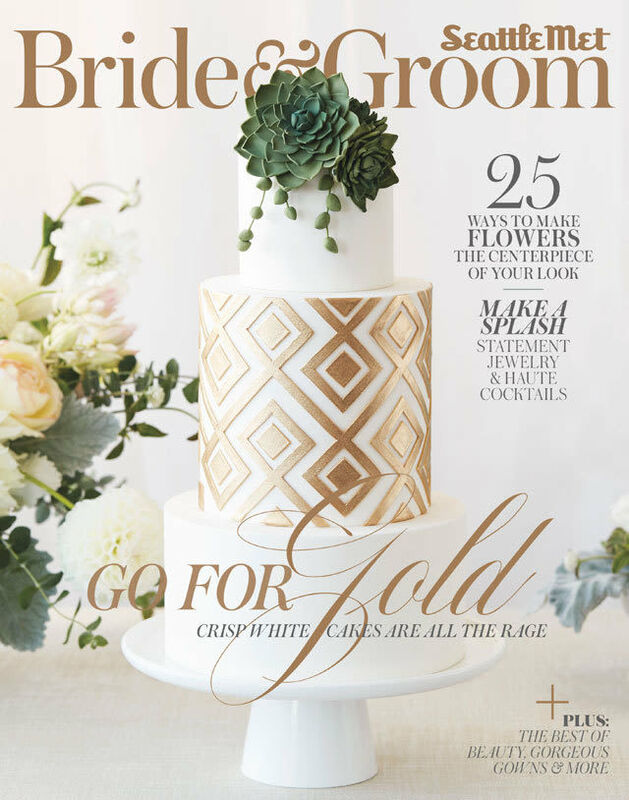 The cover—photographed by Charity Burggraaf and styled by Bridal Bliss Seattle—features a luxe gold-foil, succulent-adorned wedding cake by Baked. The succulent crown is made of sugar, while the cake itself is lavender strawberry with strawberry buttercream filling and a fondant frosting. The cover photo offers a peek of the "Golden Wonderland" editorial inside our pages, featuring sleek white cakes paired with emerald succulents and gilded accents. Pick up a copy of the magazine to see the full desserts feature and so much more!